Thus achieving unique and personalized jewelry. Classes are two hours per week. Monday from 6pm to 8pm or Thursday from 9am to 11am or from 6pm to 8pm. The first month 85€ with all the material included to develope a pice of silver. 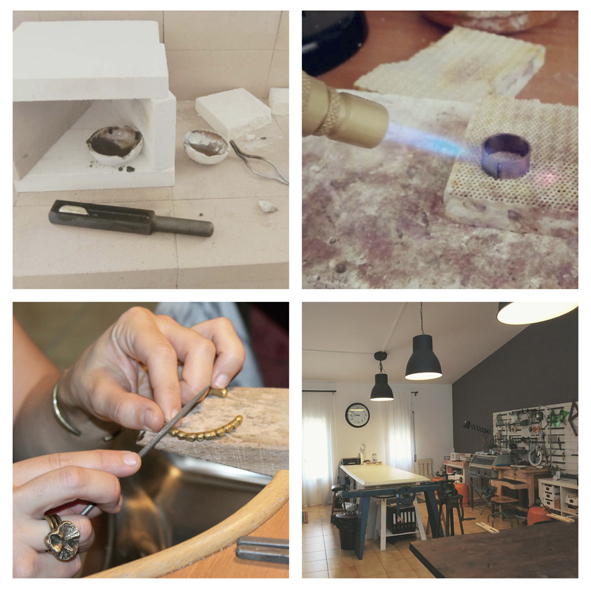 From the second month 65€, with tools and machinery available in the workshop are included, doen’t include ephemeral material or the metal that you want to use. Classes are reduced and personalized, which you can attend the months you think fit and therefore the objectives will change according to your interests.